When it comes to games, you either become a part of your user’s break time or you lose him in just 3 months from the point of acquisition. The primary reason behind this churn being, lack of a viral loop being implemented in the game design that could keep a user engaged throughout. 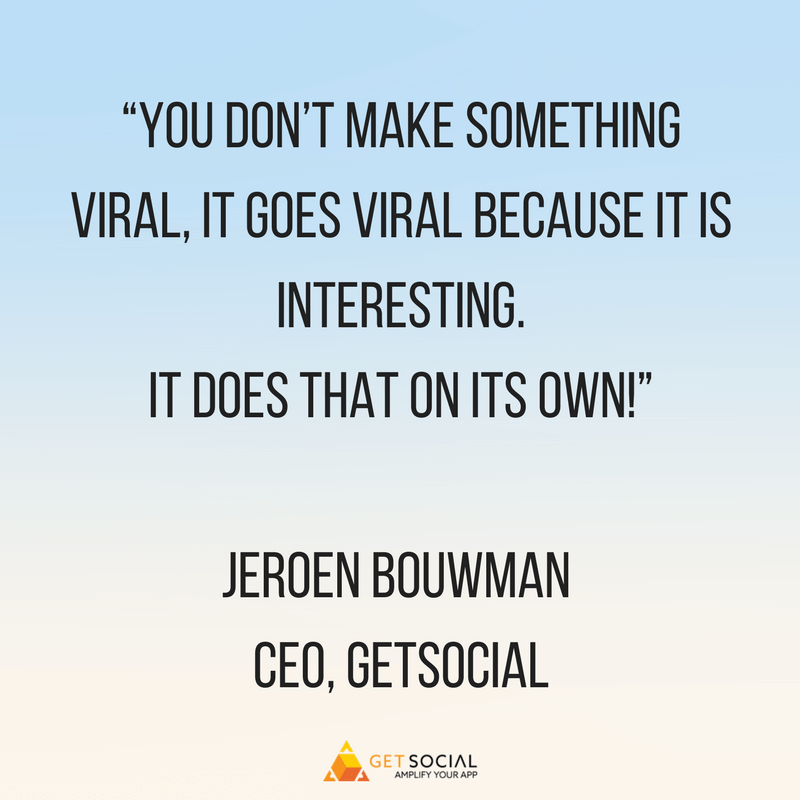 In this post, we’re sharing everything that Jeroen Bouwman (CEO, GetSocial), shared at the Casual Connect USA 2018 about designing a game for virality. 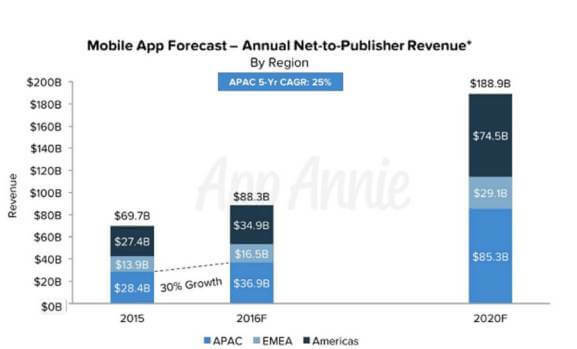 The mobile app market is estimated to grow by 270% to reach $189 billion by 2020. Gaming apps are accounting for 55% of this growth. Clearing the mobile app market is booming and there’s no stopping. Even as of now, there are 2.2 million mobile apps that are available to download on various iOS devices and 3.5 million apps in the Google Play Store. And the number is only increasing by the day. Now this is good news for all those who enjoy playing different games on their phone or exploring different apps. But the bad news is for the developers as most of these apps and games are experiencing higher churn rates than ever. A lot of apps that enter any of the popular app markets, are failing like the dotcoms. The average retention rate is merely 20% by the third month from the point of acquisition. Now if you’re starting to rely on app discovery after spending hundreds or maybe even thousands on user acquisition, bad news. No matter how much you optimize your app store description for the right keywords, there is always an app that will beat you at user acquisition. When it comes to social media, the state is no better. Even top grossing titles take a hit due to the ever changing market conditions. For instance, one of the big names in the gaming industry – Rovio. Its shares crashed 19% after the Angry Birds maker’s disappointing first post IPO earnings. The company blamed the increase in user acquisition costs for a dip in their profits. And they’re not the only ones. Glu Mobile spent $13.9 million marketing Design Home in Q2 for a single title in the gaming market. Now imagine the overall cost they set aside for user acquisition, for all their titles. 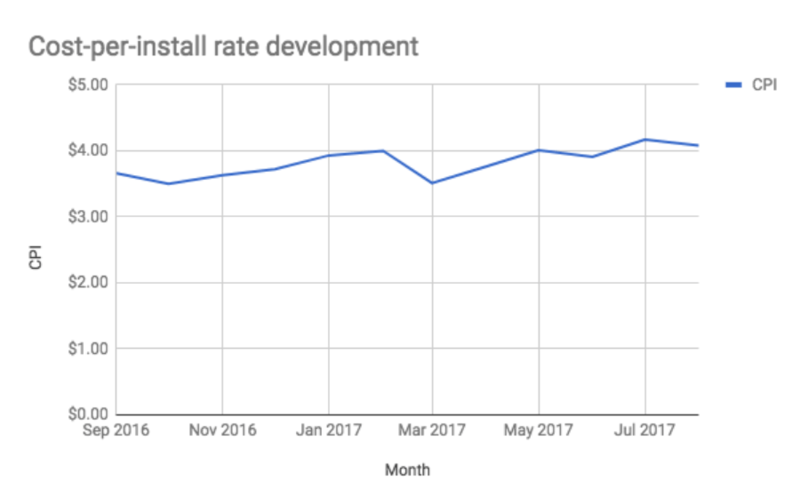 The cost per install isn’t dipping any time soon and this is only for the US market. The user acquisition costs continue to skyrocket even across other locations. So how do you counter a high user acquisition cost to ensure your profits don’t take a hit? Is ‘featured app’ the growth hack? One of the most common tactics that we hear from indie game developers to bring down their acquisition costs, is getting their title featured. While they’re not wrong about the fact that a weeks’ feature can bring them more users than any social advertisement, it’s just not that easy. 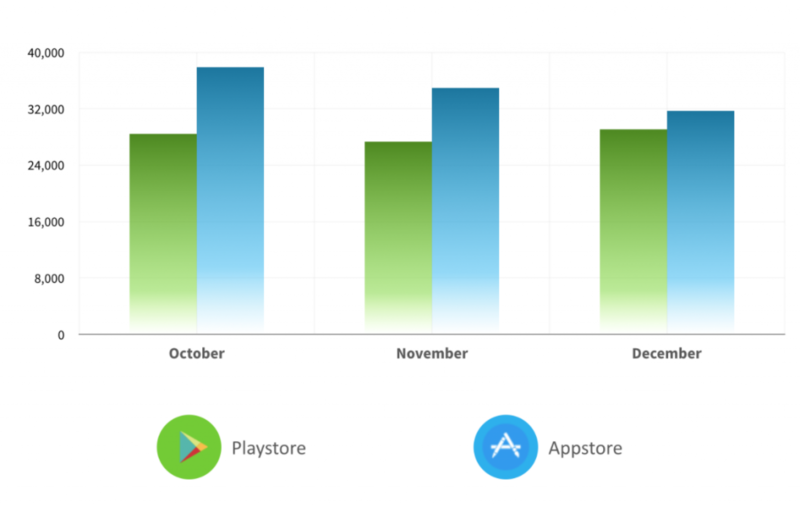 Over the last 3 months, there are over 30k games submitted to both the App Store and Google Play Store, every month. That’s 1000 games per day. To get your title featured, there are a number of investments you need to make – it doesn’t really come free. 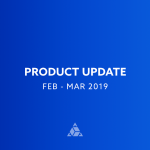 You need to invest in your relationship with Apple, incorporate the changes they suggest in to your product and at the same time, your own growth plan. That’s a lot for going up against those 1000 other apps to get featured! So what are the chances that your game will stand out and you’ll be able to acquire as many users as you think during that period? Honestly, we wouldn’t rely on it completely. 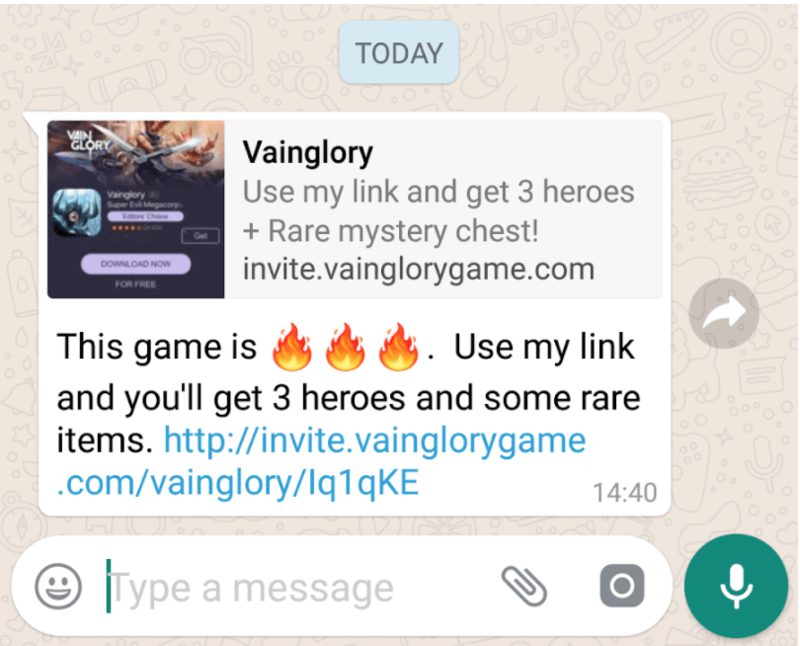 Take it from the top grossing games that have gone on to become a benchmark for many in the gaming industry, referral marketing is what works. In fact, according to a study by Nielsen, 92% of users trust recommendations coming from friends and family. Not advertisements and not even their own search results! An apt example here would be Candy Crush. A daily active player would send out invites on a daily basis to continue progressing in the game. Now while this resulted in endless invitation notifications for many on Facebook, it also boosted the brand’s awareness in the market. 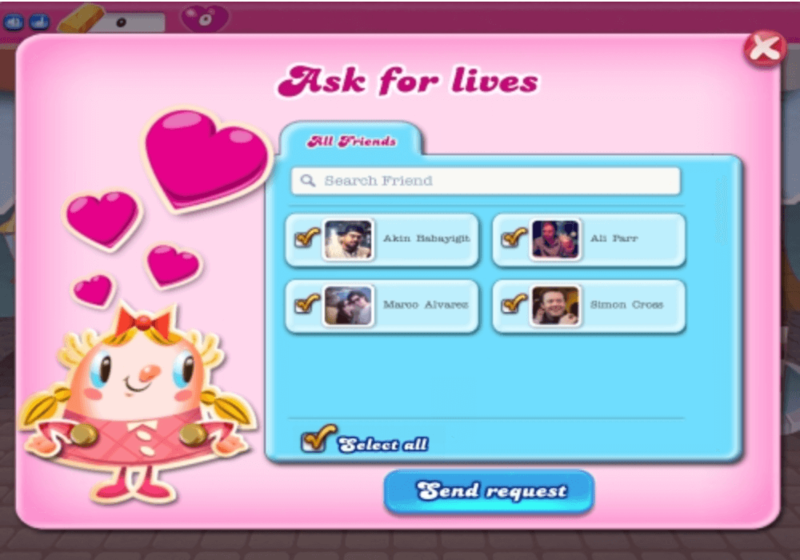 Even if ‘irritated’ by the notifications, users did go on to see what the game was all about and it resulted in many of them joining the existing players. 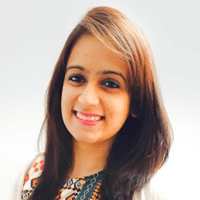 Even though Candy Crush started getting a bad name amongst those who weren’t gaming enthusiasts, it actually worked for the brand in boosting their user acquisition strategy. 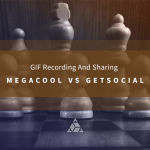 All by using one simple logic – tapping into the human need of sharing information. When you present a user with something that is interesting based on his behaviour or when you create a scenario where sharing of information leads him to something more valuable, you see higher participation. There are plenty other games that have gone viral due to this user behaviour, without even strategizing for it. But you could be better prepared! 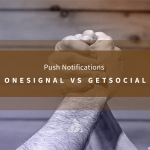 Instead of letting users take their time to ‘feel the need to share your app’, why not make it a part of your design to harness their need to socialise? Yes, we’re talking about working on the viral coefficient (K-factor) of your game, right from the beginning. The viral coefficient is the number which tells you how many of users are your existing set of users bringing in to the app, on an average. For instance, if your viral coefficient is 2, your current users are sending invites to their friends. But out of these friends, only 2 join the game. Let’s talk about a few ways to increase your viral coefficient. All of us have a tendency to skip a task if it involves too much effort. The same holds true for a user who is thinking of inviting his friends. The easier your sharing mechanism is, the greater are the number of invites (i) he is willing to send. Visibility is one aspect of a referral campaign. The next is how easy it is to share the invite with friends. 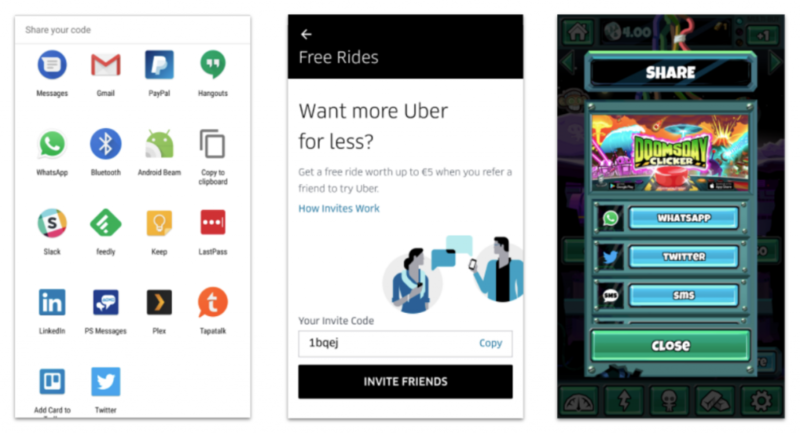 There are 3 ways that most apps use to invite their circle: native sharing, unique codes and incentivised sharing. The only way to find out which mechanism works for you the best, is to test and constantly monitor your user’s journey. The tactic that we see working the best across all types of games, is incentivised sharing. In this app referral marketing program, the user is rewarded in some way for inviting his friends. For instance, when a user is able to successfully get 5 of his friends to the app, he gets access to a new character in the game. The more valuable the incentive is, the greater is the participation. For a referral program to be successful, you need to time it right. You can’t just expect a new user to invite his friends to the app when he hasn’t experienced what it has to offer. The right time to ask for a referral is when you create a WOW moment for the user or give him an interesting piece of information to share. A good example here would be Doomsday Clicker. It nudges its players to share their in-game progress with their friends. 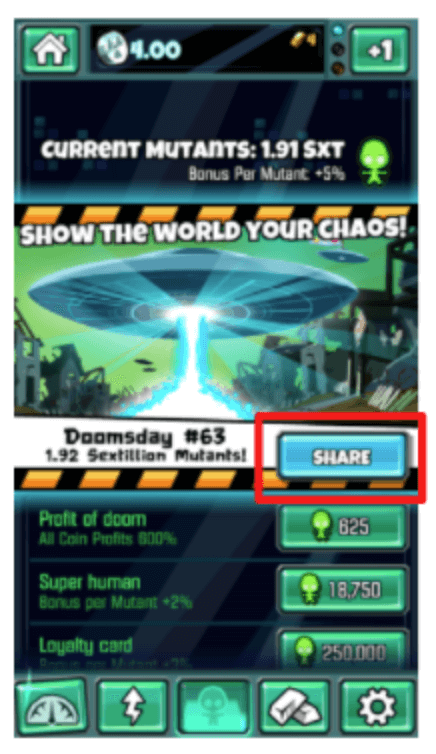 So when a level is completed, a small nudge asking them to ‘share their chaos’ pops up on the screen right before they move to the next level. This placement and timing makes it natural for a user to share the news with his friends. Virality is not just about getting more of users sending an increasing amount of invites to their friends. It’s what you do after the referred user accepts the invite, that keeps the loop going. You need to ensure that this user experiences exactly what he expects from the recommendation given. 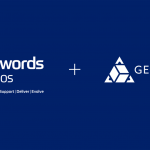 A game developer needs to ensure a smooth onboarding process to increase conversions (c). The process should not just cover all the important features in the game, but also instill instant gamification between the new player and the one that invited him. This will ensure that the new player gets as hooked to the game, immediately. 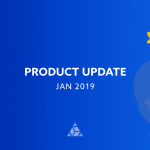 For example, FaceUp has a smart referral program in place. The user can share a Smart Invite with his friends via any of the social channels or chat apps he uses. On receiving the invite, the referred person can simply click on the link. 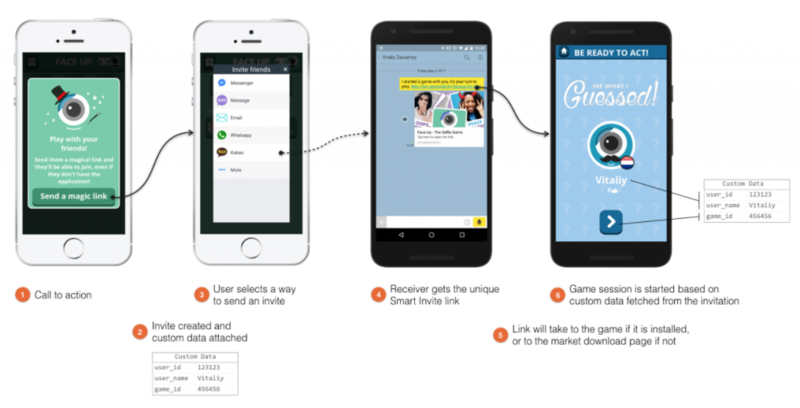 The Smart Link used here, passes on custom data to the referred user which enables him to join his friend at the same point in the app. Another good metric to measure at the same time, is re-engagement. This will let you know how willing a user is to invite more of his friends and family to the app, and how you can nudge him to do so. The viral cycle time refers to the first time that user logs in to your game, completes a session, sends an invite to his friends and the invitee becomes a user. The shorter you’re able to make the cycle, the greater are the chances of conversions on your app referral marketing program.